Improving your asset management strategy isn’t all about increasing maintenance. Often, it’s more about shifting priorities. 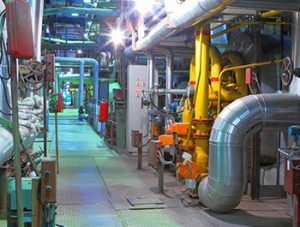 Asset-intensive organizations spend a lot of time on maintenance, and it can be either a reactive, intrusive activity or a key process embedded within normal operations. What makes the difference is whether maintenance is optimized to focus the right amount of attention on the right assets at the right time—and that starts with understanding the criticality of each asset through the concept of reliability based maintenance (RBM). RBM helps maintenance organizations focus on the right things: developing and implementing systems, structures, processes and practices that maximize asset uptime at the most cost-effective level. Everything including design, construction, commissioning, operation, maintenance, and replacement of every asset is done with the goal of optimizing its reliability. Once assets are inventoried and ranked by criticality, the appropriate maintenance plan is put in place so that resources are committed where they will have the greatest positive impact. Register for the webinar to learn how RBM can be the starting point for optimizing efficiency in your maintenance organization.